Don’t mind the dusty table! 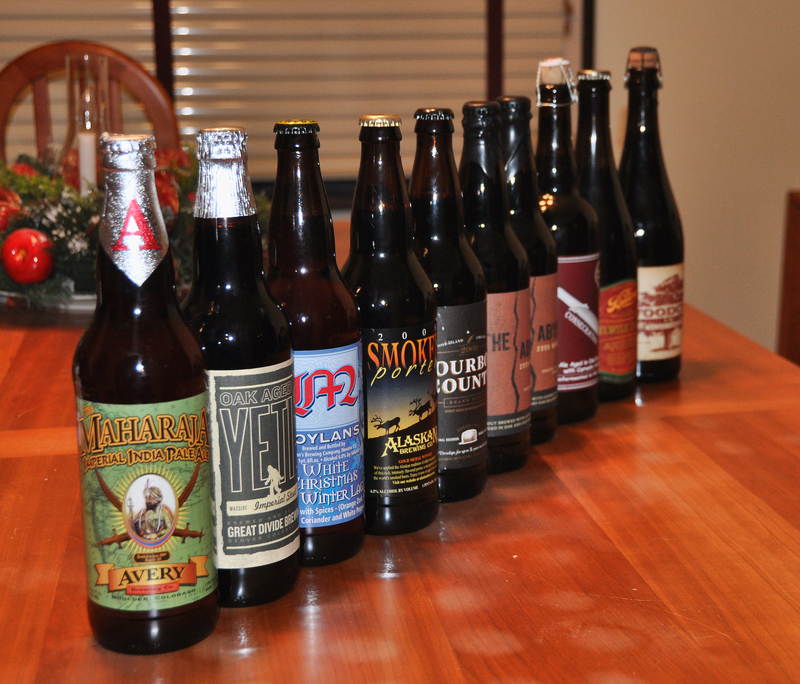 My buddy Kevin was in town for the holidays, and I had him pick me up some beer that I can’t get here in PA. Pretty pricey but I think I got some good stuff. I love the regular Yeti so really looking forward to trying the oak aged one. Also pretty pumped about getting a couple Abyss’. I plan on aging them for one a two years respectively. 12/25/2009: Merry Christmas!!! I have had both Delirium Tremens and Nocturnum, and both are world class. So of Course I went into this thinking Noel would be more of the same. I also have a couple friends who say this beer is amazing. The head on this beer was much less than that of other Belgians I have had. The taste is good, but the alcohol is NOT hidden well at all. This to me actually just tastes like a very strong version of Nocturnum, with a little bit of Christmas spice thrown in. Don’t get me wrong the beer is good, but it just wasn’t as smooth as I would have liked.